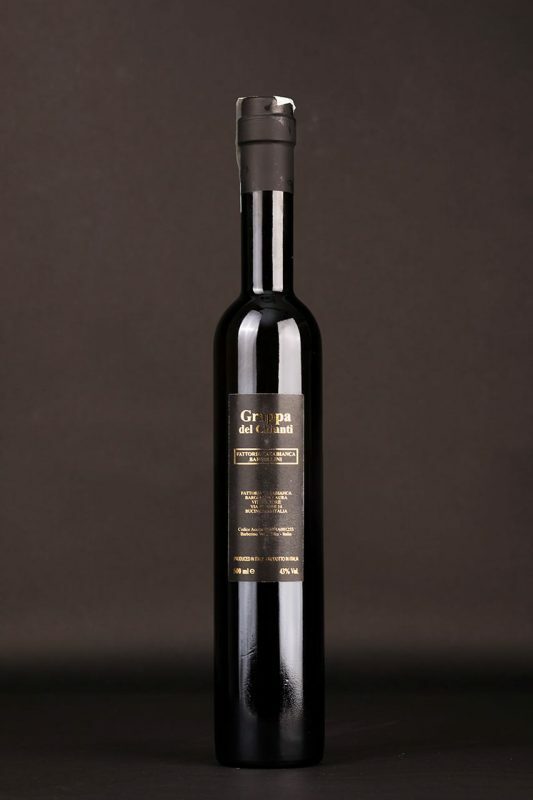 This Grappa is crystalline in colour, and offers hints of dried fruit, spices and tobacco to the smell. Grappa obtained from the marc of the Sangiovese, Canaiolo and Ciliegiolo grapes from the farm’s vineyards. Following the racking and pressing of the grapes, the marc is distilled and then refined in stainless steel containers. 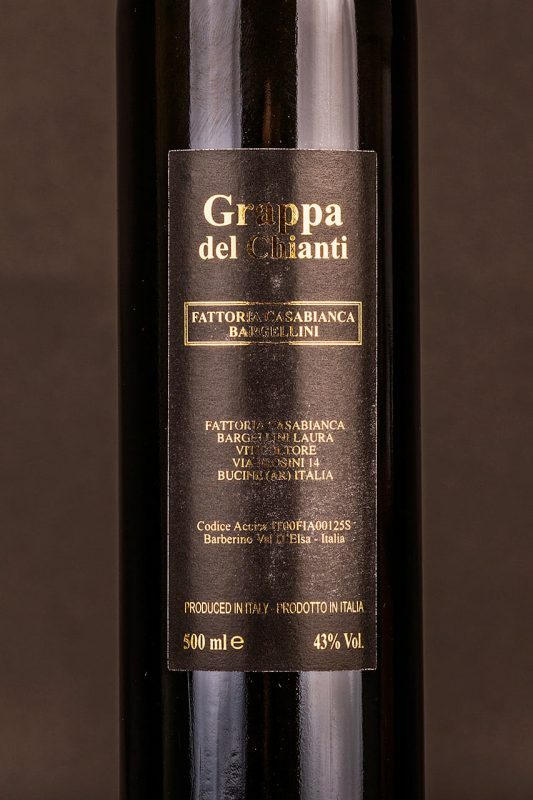 This Grappa is crystalline in colour, and offers hints of dried fruit, spices and tobacco to the smell. It has a rounded and balanced flavour with a slight after-taste of dried fruit.